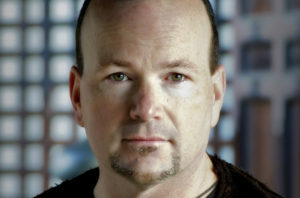 Author, artist, and consultant Lee Crockett. How do you measure integrity, critical thinking, or creativity? 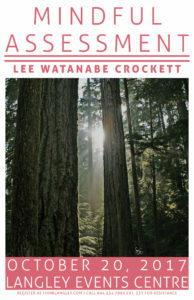 That is precisely what Lee Watanabe Crockett, the Vancouver-based author of Mindful Assessment, plans to address during his day-long seminar with local teachers on October 20. As an artist and consultant with a business background, Crockett brings a valuable outsider’s perspective to the occasionally insular field of K-12 education. This unique outlook has made him an in-demand consultant during recent curriculum changes in New Zealand and Australia. These changes are similar to those being rolled out in BC, where the focus is shifting from content to competencies. Alongside robust literacy and numeracy skills, students are expected to think critically, collaborate with their peers, and much more. These aspirations for student learning require an approach to teaching that upends traditional methods. In an age of increasing automation, these particularly human skills of collaboration, creativity, and integrity will be what is required from 21st century workers, community members, and global citizens. To prepare students for this changing world, educators should seek to reframe their notions of classroom roles. This approach is modeled in Crockett’s seminars, which focus on hands-on, collaborative learning between participants. “I look to challenge thinking and provide opportunities to grow and transform professionally,” he says. Ultimately, Crockett hopes teachers will see these changes as an exciting opportunity to transform instruction in a way that improves both student experience and outcomes.